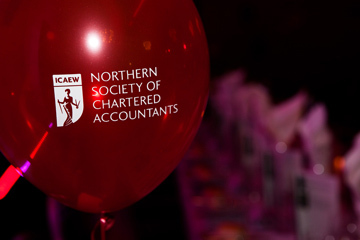 Northern Society of Chartered Accountants is pleased to announce that it has decided to extend the celebration of our students’ success with the Northern Society Awards 2015. In the past we have awarded prizes to those ACA students who achieved first place in the Northern Society Order of Merit, but whilst this is an outstanding achievement, there are many more of our students for whom excellent exam results and a contribution to the profession, even at this earliest stage of their career, are perhaps not recognised. In an attempt to remedy that, we are establishing the Presidents’ Award, an annual celebration of ACA students who have passed the ICAEW’s very tough exams, but also contributed to their firm, community or the profession. We intend to recognise students’ success at two stages. Firstly we will announce those students who have been shortlisted as finalists at both the Professional Stage and Advanced Stage. The finalists will be announced ahead of the Northern Society Business and Awards Dinner which takes place on 16 October 2015 at the Civic Centre, Newcastle upon Tyne. Our keynote speakers at the dinner will be ICAEW President Andrew Ratcliffe and Baroness Tanni Grey-Thompson DBE. Having announced the shortlist before the dinner, we will then recognise the exceptional candidate who has won the Presidents’ Award 2015 –Professional Stage and the exceptional candidate who has won the Presidents’ Award 2015 – Advanced Stage and annouce the winner on 16 October 2015. 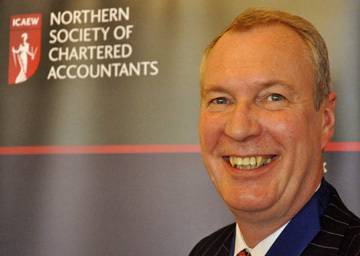 Rob Tindle, President of Northern Society commented that: We are really pleased to continue to recognise the success of our top performing accountancy students in the north east, Teesside, northern Yorkshire and Cumbria. Our new Presidents’ Award will be in recognition of some of the toughest professional exams anywhere, and welcoming another crop of excellent young members to our Profession. The Presidents’ Award will be presented at the same time as the winners of the Northern Society Order of Merit Awards are announced and the new award for Northern Society BASE Mentor of the Year. The winners will be announced at the Northern Society Business and wards Dinner on 16 October 2015.